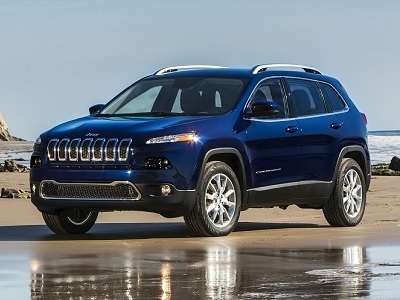 The 2016 Jeep Cherokee from El Paso is a double powerhouse. It combines real off-road chops with city suave for an unstoppable, small SUV. With this car, you won’t hesitate to plunge it through muddy trails and rocky underbrush as you drive to your next adventure, and yet it’s packed with more than enough refinement and appeal for daily driving. The 2016 Jeep Cherokee is a strong and attractive SUV that’s ready for anything you ask from it. The 2016 Jeep Cherokee from El Paso is in its element when busting through rough roads. Match the optional V6 engine with the 9-speed automatic transmission, and you’ve got impressive power in your hands. Three optional 4-wheel drive options on the Selec-Train system gives you excellent traction. This SUV can choose the best mode for you, but you may also select among Rock, Sand/Mud, Snow, and Sport settings to suit your preference. Posted on April 7, 2016 by CedrickPosted in BusinessTagged 2016, cherokee, dealership, jeep, paso.